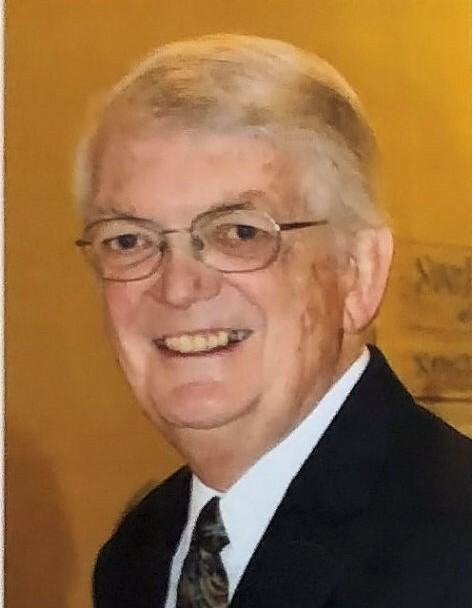 Bartley Lee Munson, 81, of Milwaukee, WI, formerly Sturgeon Bay, WI, passed away peacefully Wednesday evening, December 19, 2018 at Lawlis Family Hospice in Mequon,W I. He was born November 5, 1937 in Rockford, IL the son of Roy and Madonna (Anderson) Munson. Bart graduated from Rockford East High School in 1955. He received his BBA in Actuarial Science from UW-Madison in 1959. On January 25, 1959, he married Celeste A. Boyer at Trinity Lutheran Church in Rockford. They moved to Hartford, CT for Bart’s employment for a few years before moving to Appleton, WI in 1962, where he worked as an actuary for Aid Association for Lutherans (now Thrivent Financial). Bart was the president of the American Academy of Actuaries from 1985 to 1986. He would eventually become partner at Mercer Consulting before continuing as an actuarial consultant, focused on long-term care insurance. Bart and Celeste were active members of every community where they lived, often focusing on supporting the arts and helping maintain thriving communities. Bart was the essence of altruism, from taking out an elderly neighbor for ice cream once a week, to driving friends to medical appointments, or stopping to help people on the roadside when their cars broke down. His care for neighbors and strangers was surpassed by his deep commitment and love for his family. Above all, he put his family first – always giving 100% of his time, energy, and resources to making sure his family felt loved and cared for. Bart is survived by his wife, Celeste of Milwaukee, WI; three children, Steve (Kim) Munson of Frederick, MD; Jeff (Karen) Munson of Brookfield, WI; Michael (Loree) Munson of Milwaukee, WI; four grandchildren, Kirsten, Derek, Michael, Kai; and one brother, Bruce (Barbara) Munson of Ames, IA. He was preceded in death by his parents, Roy and Madonna Munson; and his nephew, Erik Munson. A celebration of Bart’s life will be held in Sturgeon Bay at Hope United Church of Christ (141 South 12th Avenue Sturgeon Bay, WI 54235) on Saturday, March 23, 2019 at 11:00 a.m.
Visitation for family and friends will be held at the church on Saturday, March 23, 2019 from 10:00 a.m. until 11:00 a.m.
Memorials may be made in his memory for Hope United Church of Christ. Huehns Funeral Home, Inc. & Door County Crematory LLC are assisting the Munson family. Expressions of sympathy, memories, and photos of Bart may be shared with his family through his tribute page at www.huehnsfuneralhome.com.